Super Savings! 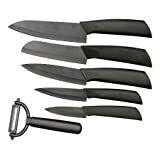 Up to 37% off on Specialty Knives at Sara Stage, Page 5. 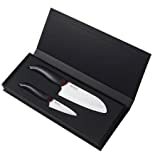 Top brands include Kyocera, JapanBargain, AROCCOM, Hogishama Cutlery, Goodfaith (Good Face), The Charleston Shucker Company, Hen & Rooster, Legnoart Spicy, Stone River Products, Laguiole, UJ Ramelson Co, & Matfer Bourgeat. Hurry! Limited time offers. Offers valid only while supplies last. 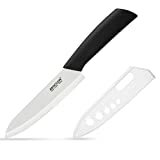 TWO HANDLED CHEESE KNIFE - Length of Blade 16 1/2"